Six months into the new ACA health plan year and Blue Shield of California still has a broken billing system. Individuals and families who bought their 2014 health plans directly from Blue Shield and then had a change in the household members being covered are encountering issues with their invoices. Blue Shield has been unable to change the original premium rate on any of their off-exchange health plans. Blue Shield says they will have the billing system fixed in July. As an agent who enrolled individuals and families in Blue Shield of California health plans I receive notices if the account is delinquent or about to be cancelled. 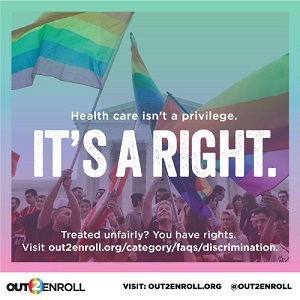 In one instance, the spouse of one couple I enrolled left the Blue Shield plan to enroll in an Anthem Blue Cross plan because her physicians were in the Anthem plan but not the Blue Shield. Four months after we removed her from the Blue Shield plan, the family was still receiving invoices with a premium that indicated that she was still active. On June 13th, 2014, after numerous phone calls, letters and assurances that the spouse had been removed, I received the Blue Shield notification that the plan was going to be cancelled for non-payment. The family had been making the premiums just for the one spouse, but the Blue Shield billing system only recognized a partial payment because it still retained the old premium amount in the system. Finally, on June 25th I was able to speak to billing specialist who said the problem was that they had no way to change the premium amount in the billing system when a household member had dropped off. I was informed that all Blue Shield could do was to mark the account with a “Do Not Cancel” flag. Back in April, when we thought we had the issue resolved, the family made the full premium amount requested to avoid being cancelled. Technically, this should have left them with a credit balance that paid the account through the end of June. But here we are in June and they have received another cancellation notice. In my conversations with Blue Shield it was unclear as to when they recognized that all their efforts to change existing billing statements were being thwarted by their very own system. The billing specialist I talked to said they would have a fix in place by July. To bridge the issue all they could do was place the “Do Not Cancel” flag on the account. Based on past experience with this issue and other Blue Shield billing issues, I don’t have a great deal of confidence and neither do my clients. 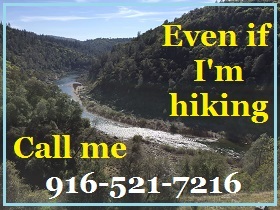 At this time, the broken billing system does not affect plans sold through Covered California. When a household member is removed through the Covered California system the re-calculated premium is sent directly to Blue Shield. 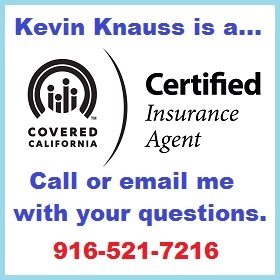 While I haven’t had any specific total premium amount issues so far with my Covered California clients, there have been issues with correct data, such as adding a child, either being properly sent or fed into the billing system. Blue Shield was ahead of the curve last year when they had all the plans and rates in place before the start of open enrollment. Unfortunately, the off-exchange plans, those health plans sold directly through Blue Shield have had some really thorny issues to overcome. We have been battling Blue Shield to correctly attach one client’s health plan to his member ID. Just last week, when we thought we had finally resolved all the issues, my client’s pharmacist said his member ID had no health plan and he would have to pay full price for his prescription medications. See: My trip to Blue Shield to fix client’s health plan issues. Who will stay with Blue Shield next open enrollment? As with these two instances and others I’ve not mentioned, there is no easy way to resolve the billing issues. All anyone can do is call, send information and document the correspondence with Blue Shield. I pray that the billing specialist’s explanation for the “frozen” premium rates is accurate and they will have the issue fixed in July. At this point, any goodwill Blue Shield had with these members has evaporated. Come open enrollment this autumn I suspect I will have several clients that will leave Blue Shield for any plan that doesn’t threaten to cancel them when they have been making their premium payments faithfully since the beginning.